Today, I will be talking about another great queen of Africa: the Queen Nzingha of Angola, who defended her kingdom against the Portuguese for 40 years and defeated them. Yes! DEFEATED THE PORTUGUESE IN THE 1600s! See… another gap in our textbooks: anybody heard of this great queen and of her military and diplomatic genius? Well, the great Queen Nzingha was born in Angola at the end of the 1500s, just over 100 years after the Portuguese started slavery ports across Africa. She was born to Ndambi Kiluanji, Ngola (king) of the Mbundu and Ndongo people and his second wife Kangela, in 1582. At her birth, a wise woman predicted that she will one day become queen, which was unheard of since there were no women rulers in those days. In her youth, Nzingha was strongly favored by her father, who allowed her to witness as he governed his kingdom, and who carried her with him to war. She participated in all the intense training for warriors. Nzingha grew up in a world normally suited for males. She was educated in the fields of hunting and archery, and in diplomay and trade. Nzingha was a true politician, and showed true military and intellectual genius. She also had two sisters Kifunji and Mukambu, and a brother Mbandi. Nzingha was special in the sense that she was well-educated and spoke and wrote fluent Portuguese. As the Portuguese were setting a slave port in Luanda (present-day capital of Angola), and capturing the people for slavery, Ngola Kiluanji tried to work diplomatically with the Portuguese to keep the Mbundu people safe, but many were captured and taken into slavery. At the death of her father in 1617, Nzingha’s brother, Mbandi, took over the throne as required by tradition. 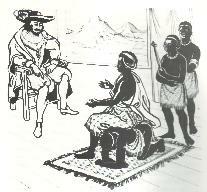 In 1622, Nzingha went to Luanda working for Mbandi as a special emissary to negociate peace treaties with the Portuguese. When she met with the Portuguese governor of Luanda, João Correia de Sousa, she was refused a seat. As a mark of power, she sat on the back of one of her male servants and made him a human bench, to show the governor that she would not negociate with him from an inferior footing. This was a woman ahead of her time, and who would not be made inferior! There she succeeded in negociating a peace treatment. After her return to Kabasa (the capital of the Mbundu kingdom), Mbandi committed suicide. The Portuguese profited from this moment of weakness to attack Kabasa and burnt it to the ground. Nzingha fleed with her people, and moved her people to the mountains where she formed an army to fight against the Portuguese. She was named Ngola of the Mbundu people in 1624, with two of her war leaders and closest advisors being her sisters Kifunji and Mukambu. In 1626, after the Portuguese betrayed yet another treaty, she was led to move her people further west and establish a kingdom in Matamba. There, she organized several alliances with neighboring people such as the Imbangala people, and developed a new form of military organization known as kilombo, in which youths moved away from their families, and were raised communally in militias. Nzingha also made alliances with the Dutch to fight the Portuguese, but to realize later that they were all the same as the Portuguese: treacherous, and only there to enslave the Mbundu people. From 1630 to her death in 1663, Nzingha, Queen General of Matamba, launched a formidable opposition to the Portuguese regime from the rocky slopes of Matamba. The Portuguese came to respect her for her strength, dignity, pride, shrewdness, and her intransigence. She was their strongest enemy in Angola. 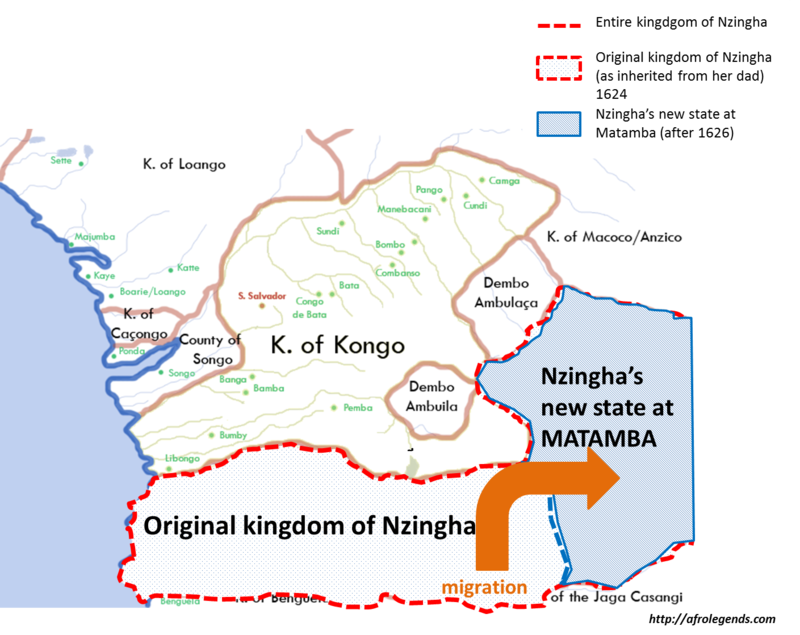 Nzingha ruled for almost 40 years in both Ndongo and Matamba. Nzingha died in 1663, at the age of 82. She was succeeded on the throne by her sister Mukambu (also known as Barbara). Mukambu gave Nzingha a burial befitting of the greatest Ngolas: Nzingha was laid to rest in her leopard skins and with her bow over her shoulder and arrows in her hand. This was the first time in history that the Mbundu people had been led by a woman, and everyone remembered Nzingha as an outstanding, impressive, female warrior, ruler and field commander. For the Mbundu people, she is remembered for her love of her people, her strength, charisma, and her fight for their sovereignty and freedom. No wonder, her influence was felt centuries later, when African slaves in Brazil organized themselves in Quilombo to fight their white masters and retain their freedom. It took me 3 christmas and new year holidays to finally realize this video of Queen Nzingha de Mbande of Angola. It took me this long not only because I only worked on it a few days of the year, but also because the time and references had to be right. I am so glad to be able to present to you this great video which talks about another great queen of Africa, one who defended, and defeated the Portuguese for over 40 years. See… another thing that is not written in African history books; we tend to think that our leaders were all weaklings, but we had real kings and real leaders like Samori Toure, Behanzin, Ranavalona I, Amanishakheto, Beatrice of Congo, and Nzingha who fought the foreign invaders for the freedom of their people. 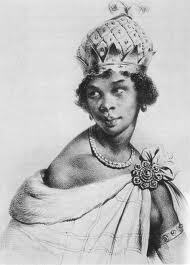 Enjoy learning about Queen Nzingha of Angola. You can also read Nzingha: Warrior Queen of Matamba, Angola by Patricia McKissack, as well as Black Women of Antiquity by Ivan van Sertima; don’t forget to check out this piece on Metropolitan Museum‘s website. Did you know about Nzingha? How do you feel, now that you know that there was a great queen like her? Great info. I just had one of my 7th grade students to portray her in a wax museum titled ” I AM AFRICA” The students would freeze in place like a wax museum and would come to life and tell about their character. 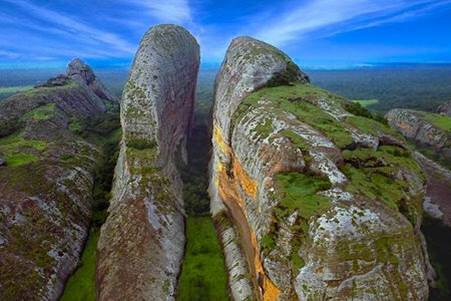 We also did Amanishaketo, Idris Elber Alooma, and the Olmec heads, the African presence in ancient America. You would have been proud of them. I know I was. Wow… this is so great! Freezing like a wax museum for great African figures is really good… this is a great school project. I hope you took pictures and/or videos, as this is very important for posterity. Absolutely! A strong African woman, warrior, leader, and so much more. This is very educational,i never knew this &will proudly show my daughter! Lovely Samantha! Thank you for commenting and visiting the blog. Thanks for reblogging and visiting the blog. I truly appreciate it.